There are several benefits to purchasing a metal building. Size and flexibility of important when choosing office space. Having a metal building does not necessarily limit you to a small space or location. In fact, metal buildings can be quite large and are easy to move. Purchasing a prefabricated metal buildings online is a great way to save money and time during construction. One of the biggest benefits of choosing a metal building is the price. The best prefab metal buildings prices tend to be much lower than traditional building costs. This isn’t because the materials are cheap, it is because they are constructed ahead of time. The manufacturer does not have to pay employees to come out to the site and construct the building for you. Instead, the pieces of metal building are made off-site in a factory setting. They are then shipped to you and placed on your site. This minimizes the number of people used to construct the metal building. A metal building office has a great amount of flexibility in terms of price. Because it is easy to build onto the building later on, you can easily select a building that fits your budget now. Then, when you have extra money, you can add on to the office building. Metal buildings are very easy to expand, so you can add or take away offices effortlessly. If desired, you can even add a second floor to your prefabricated building. This flexibility allows you to work better with a budget rather than having to settle for what is currently on the market in your price range. 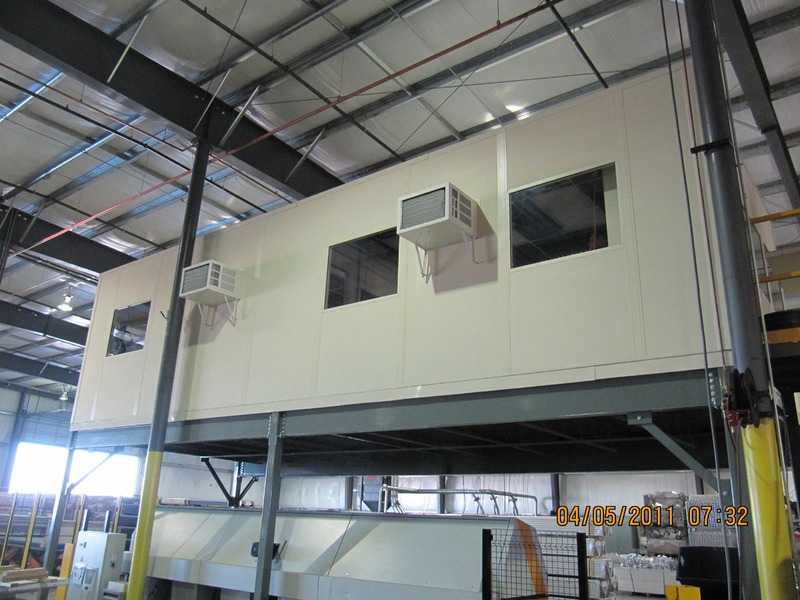 Many people choose to work with metal buildings because they are high quality. An experience prefabricated building company such as Panel Built can provide you with a metal structure that lasts. Panel Builds, for example, uses only the best materials in their construction process. This means that the structure is low maintenance and will last for several years. All of the metal and other materials are made to resist strong weather conditions, excess water, rust and other common problems. This treatment helps you get the best return on investment possible. Large structures are easy for Panel Built to create. Personalized designs help you get the exact metal building office you need. You will be able to select from a number of popular design or create your own. Customer service representatives will give you individualized attention and help by making suggestions based on your needs. Your metal building can contain almost anything. You can easily attach garages, lofts, restrooms or kitchens. This allows you to create an office building with all of the amenities you want at a more affordable price. Panel Built has experience working with a number of different companies to create unique and innovative designs. With several happy customers, it is easy to see why they are often recommended to people who are new to purchasing metal buildings. After you decide to invest in a metal building, you should start the research process. There are several excellent company that can give you great deals on metal buildings. Learning more about the construction process and the company history can help give you an idea of what to expect. Your research will also help you get the best overall price. Prefab metal buildings prices tend to be much cheaper when you work with an online-based company. If you don’t have any recommendations on where to buy pre-engineered metal buildings, you should consider working with established companies. Panel Built, for example, has several years of experience in the industry. They will be patient with you and give you the attention you need so that you can make informed decisions. Their careful attention to detail will allow you to rest assured knowing you are getting a building that will last for several years. Panel Built can make recommendations for designs based on your needs. When you decide it is time to expand your business, consider investing in a metal building. With low prefab metal buildings prices, your office space can be a great return on investment.